Beauty Salon Insurance Delaware. Is your salon business protected from liability? Salons are not immune from the potential for liability claims against them. Beauty shops cut, style, trim, color, and apply permanent wave or straightening solutions to hair. Other services may be offered, such as wig cleaning and styling, massage, nail care, tanning beds, cosmetic consulting, and electrolysis. Although salons traditionally catered to women, many salons now offer their services also to men and children. Services may be offered on a walk-in basis, by appointment only, or both. Beauty shops are subject to state regulations to reduce the possible spread of disease. Each beautician, manicurist or other professional must also be licensed. Shops may employ beauticians and other cosmetic services professionals or may rent space to them as independent contractors who provide their own equipment. The status of the various professionals as an employee or an independent contractor must be determined since it may impact how coverages apply. In 2009, a Florida beauty salon was sued when they caused third-degree burns to a teenager's head while trying to dye her hair. The teen racked up $85K in medical bills, and then sued the salon for pain and suffering and negligence. The stylist had not followed the directions on the dye product, so the salon owner was found liable for the damages. If she had liability insurance, it would likely cover the costs. If she didn't, then she's out the money to pay for her mistake. Beauty salon insurance Delaware protects your business from lawsuits with rates as low as $67/mo. Get a fast quote and your certificate of insurance now. Having a faithful customer base and always following package directions is not enough in today's litigious society. Beauty salon insurance Delaware protects salon owners from potential financial ruin if an accident occurs or they are sued in a civil court of law. While stylists and beauticians do their best to provide services that are safe for customers, the truth is things happen and accidents occur. The more than 86,000 hair salons in the United States and 4,000 barber shops produce revenue of more than $20 billion per year - which means there's a lot of room for things to go awry. More than 80 percent of salons in the United States have fewer than five employees working. This makes them small and particularly vulnerable to financial loss, whether from a lawsuit, or from damage to equipment and other assets from storms, fire, or theft. This is where beauty salon insurance Delaware can help. Salon liability insurance. This type of insurance for salon owners provides financial security if a customer is injured or the customer's property is damaged while on your premises. For instance, if a client falls in your bathroom, general liability insurance pays for her medical costs and any settlement or judgment that is ordered. It also pays the salon owner's legal expense. For all these reasons, it's important that Delaware salon owners purchase the maximum amount of beauty salon insurance Delaware they can afford. Property/casualty insurance. Whether you own or rent the building that houses your DE salon, it is important to insure it. Property insurance covers loss to the building, while casualty insurance covers the building's contents, such as chairs, counters, tanning equipment, and other items. Plate glass coverage. For salons with storefronts that have a lot of glass, a separate policy or a rider for plate glass coverage may be necessary if the property/casual policy does not cover damage to it. Worker's compensation insurance for salon owners. DE workers compensation coverage is required for all employees but the owner and protects employees who become injured or ill on the job. It also guards the business against lawsuits. There are additional considerations for beauty salon owners who rent space to manicurists, hair stylists, and other related professionals. A general liability policy may not cover the work that they do. Stylists may even face claims over small things, such as bad dye jobs or bad haircuts, or they may face cases like the one described above in which an injury causes a substantial amount of pain and incurs substantial medical bills. Salon owners who rent space to others can require that their contract workers all carry professional liability insurance. This protects not only the professional but the salon owner as well. Another special situation arises when a beauty salon sells beauty products. If there is a flaw in the manufacture of these products or an imbalance in a chemical, and this flaw or imbalance causes the customer harm, you can be held liable, at least in part. Faulty product suits often involve everyone from the manufacturer down to the end seller, so product liability insurance is an essential. This ensures that DE salon owners don't pay for the mistakes of products' manufacturers. Professional liability insurance. If a worker in a nail salon ideures a customer, that customer has a right to sue. An accidental cut can lead to a serious lawsuit, which makes professional liability coverage important. Workers compensation. Workers in nail salons often breathe in toxic chemicals daily, affecting their health. Workers compensation can help salon owners protect themselves in the event a claim is lodged against them. Fire insurance. All salons should have coverage against common perils, including fire. Spas often use flammable materials, so this protection gives you a safety net in the event that a fire damages or destroys your salon. Drain/sewer backup insurance. Water damage to the floors and walls of a salon from drain/sewer backup can be expensive to repair. A policy or rider covering these perils is a good option for salon owners. Breakdown coverage for equipment. 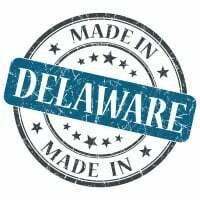 The equipment you use in your Delaware salon is expensive. Protect it with equipment breakdown coverage and you can bounce back quickly without financial loss when an important piece goes on the fritz. Inland marine insurance. This type of protection is ideal for salons who offer services on the go. For example, salons that cater to people in their homes or who show up for weddings and so forth. This protects you against loss or damage to equipment uses outside the business premises. You may also need insurance for salon booth renters if you rent space in someone else's salon. Your rent gives you the space to provide your beauty services. Insurance for salon booth renters helps protect yourself as you can be held liable for professional mistakes, bodily injuries, and property damage - just like the salon owner. Tanning beds, massage, and electrolysis services can result in injury. Tanning services provide a special set of exposures that may need the services of specialty markets as customers may be burned by overexposure to lighting used in the beds. There is unknown loss potential from long-term exposure from the radiation and chances of cancer and related diseases. If professionals are independent contractors, any injuries they incur on premises are part of the premises liability exposure instead of workers compensation. Parking lots and sidewalks need to be in good repair with snow and ice removed, and generally level and free of exposure to slips and falls. Courts may deem the security of visitors in parking areas as the responsibility of the owner or operator of the premises. Factors affecting the risks include exterior lighting, fencing, and any other security measures in place. Professional liability exposure may be moderate depending on the services offered. The stylists' training, experience, and background are important considerations. Simple wash, cut and set operations have incidental exposures while salons that offer other types of services will have higher exposure. Because of the large number of customers served, a significant, although easily avoided risk, is the transmission of diseases and vermin such as lice. The absence of simple hygienic practices like hand washing and disinfecting solutions for combs and brushes may indicate a morale hazard. Permanent wave solutions, hair straightening chemicals, and dyes can cause considerable hair and scalp damage. Hazards may increase in the absence of procedures to test for allergies and skin reactions. Full body mud treatments, pedicures, and manicures also increase the professional liability due to the potential for injury to a customer. Understanding the contractual relationship between the shop and the stylists is important as it has an impact on who is covered. Product liability exposure is moderate if the beauty shop sells shampoo and other items to customers. The exposure increases if any products sold are non-standard, independently produced, or proprietary. Workers compensation exposure is generally limited to minor cuts, scratches, and puncture wounds from scissors, burns from chemicals, and repetitive motion injuries. Leg and back injuries may result from standing long hours without resting. Working with chemicals can result in irritation to eyes, lungs, and skin. Employees must be fully informed as to the potential effects of any chemicals, including long-term occupational disease hazards so that they can take action as quickly as possible. Shops with more than one chair may be considered to be multiple sole proprietorships, rather than one business with employees. The contractual relationship between the shop owner and any independent contractors helps determine the workers compensation exposure, although regulatory definitions of employee may supersede the contract terms. Property exposure consists of a small office and the customer service area. Ignition sources include electrical equipment, heating, and air conditioning. If the beauty shop is in a converted dwelling, wiring should be up to code and adequate for the occupancy. Age and condition of the equipment is important as fires may result from poor wiring, overheating, and poor maintenance. Poor housekeeping may be a serious fire hazard because hair trimmings are flammable. While most of the chemicals used in the personal applications are not flammable, some may contain alcohol. There should be adequate ventilation to prevent the buildup of vapors which can ignite. Ownership of personal property may need to be addressed. Professional equipment such as scissors and electric clippers is quite costly and is commonly owned by the particular employee or independent contractor. Crime exposures are generally limited to theft of money by employees and others if large amounts of cash are on hand. Inland marine exposures are from valuable papers and records for customers' and suppliers' information. If employees provide their own tools, there may be an employees' tools and equipment exposure. If professionals travel to the client's premises to perform services, there may be goods off premises or in transit. There may be a bailees exposure with wigs or other hairpieces, or from storage of customers' goods at all-day events offered by some high-end salons. Automobile exposure is generally limited to hired and non-owned liability. Request a free Beauty Salon Insurance Delaware quote in Arden, Ardencroft, Ardentown, Bellefonte, Bethany Beach, Bethel, Blades, Bowers, Bridgeville, Camden, Cheswold, Clayton, Dagsboro, Delaware City, Delmar, Dewey Beach, Dover, Ellendale, Elsmere, Farmington, Felton, Fenwick Island, Frankford, Frederica, Georgetown, Greenwood, Harrington, Hartly, Henlopen Acres, Houston, Kenton, Laurel, Leipsic, Lewes, Little Creek, Magnolia, Middletown, Milford, Millsboro, Millville, Milton, New Castle, Newark, Newport, Ocean View, Odessa, Rehoboth Beach, Seaford, Selbyville, Slaughter Beach, Smyrna, South Bethany, Townsend, Viola, Wilmington, Woodside, Wyoming and all other cities in DE - The First State.